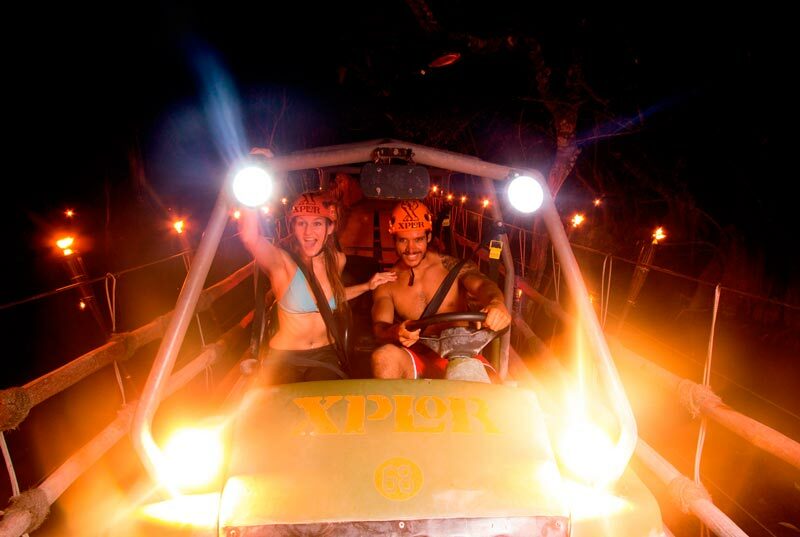 Xplor is paradise for adventure park lovers. Enjoy 4 different activities in just one place. 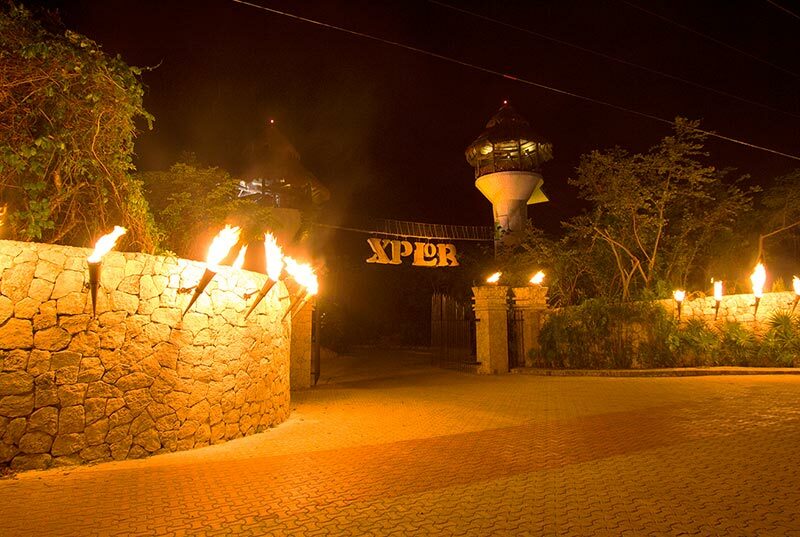 Xplor is just one hour away from Cancun, and its pretty easy to get there with our Xplor Cancun Tour which includes transportation from your hotel. 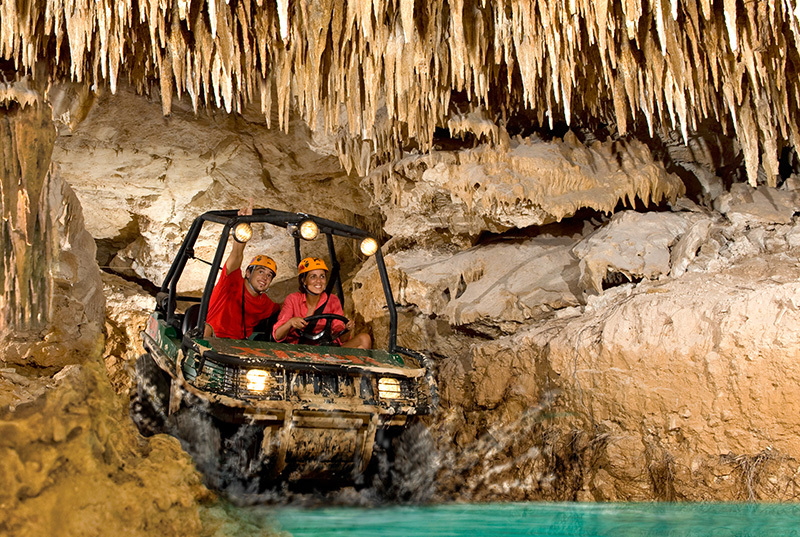 Underground rafts, zip-lines, stalactite rivers and amphibius vehicules make Xplor Park the best adventure attraction in Cancun. 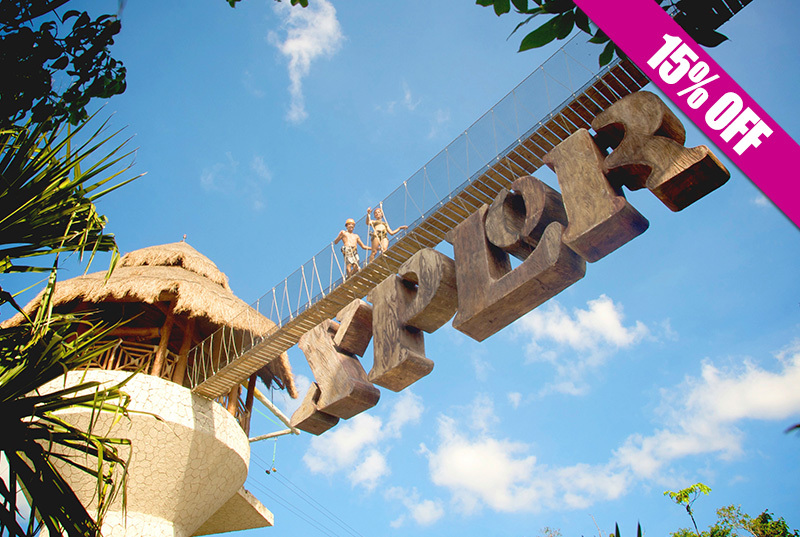 Enjoy Xplor, the biggest and most exciting Adventure Park in Cancun & Riviera Maya. Get into an underground world formed millions years ago. 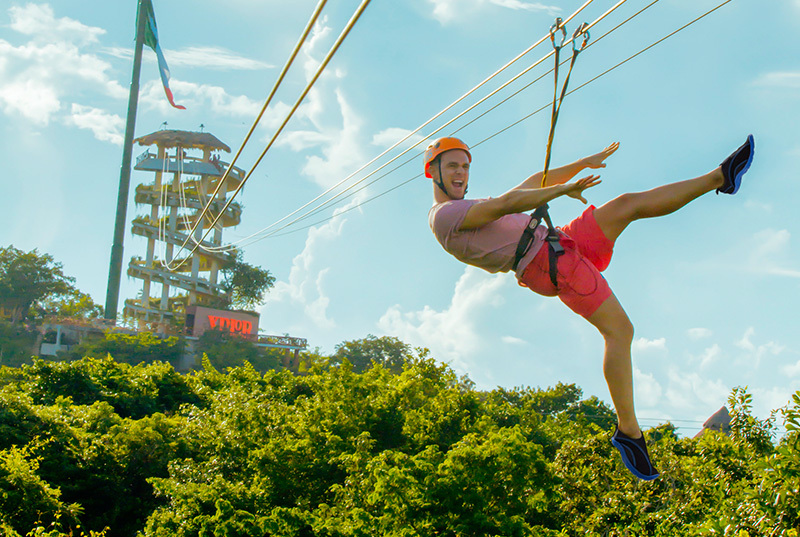 Enjoy xtreme activities:14 ziplines (including the longest & tallest in Latin America), drive amphibious vehicles on a 6.2 miles jungle trail, 2 river circuits to paddle on Rafts and swim in the Stalactite underground-river (430 yards ). Of course transportation and unlimited food & drinks are included! Round trip transportation in luxury bus and bilingual guide. 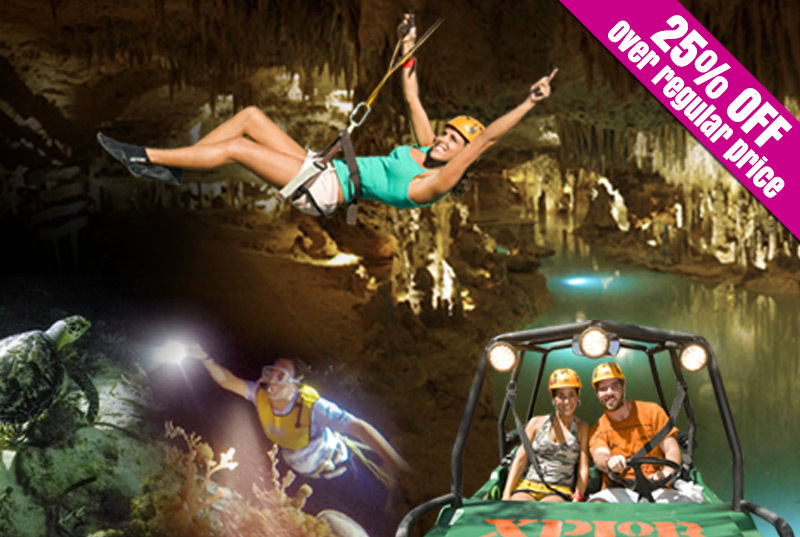 Xplor Park Schedule: Monday through Saturday from 9:00 am 5:00 pm. 2 circuits with 7 zip-lines each. Equipment: Harness and helmet. The minimum height required for this activity is 1.40 m or 40 kg. The maximum weight allowed for this activity is 136 kg. 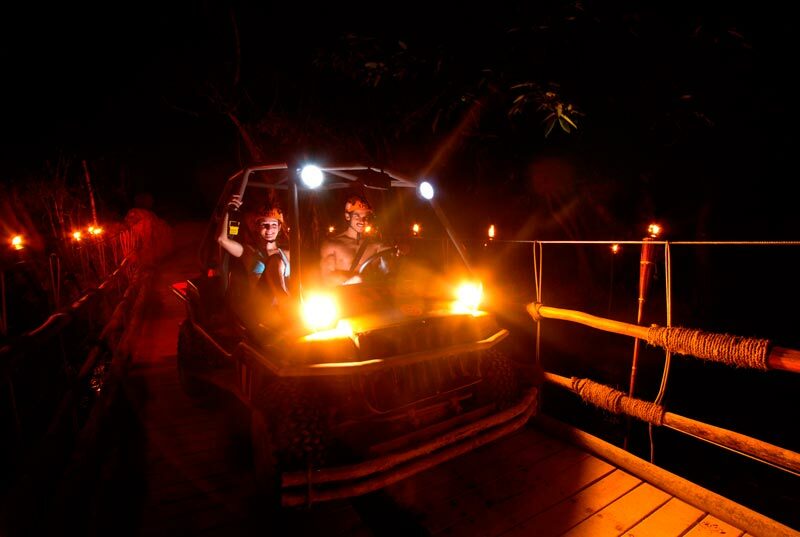 2 circuits to drive amphibious vehicles for 2 people or 2 adults and 2 children. Only 18 and older can drive. Equipment: helmet. 1 circuit for swimming in the river of stalactites. Equipment: life jacket, helmet. 2 circuits to go river rafting. Equipment: hand-paddles, raft and helmet. Unlimited drinks (just coffee, hot chocolate, natural smoothies and fresh juices). 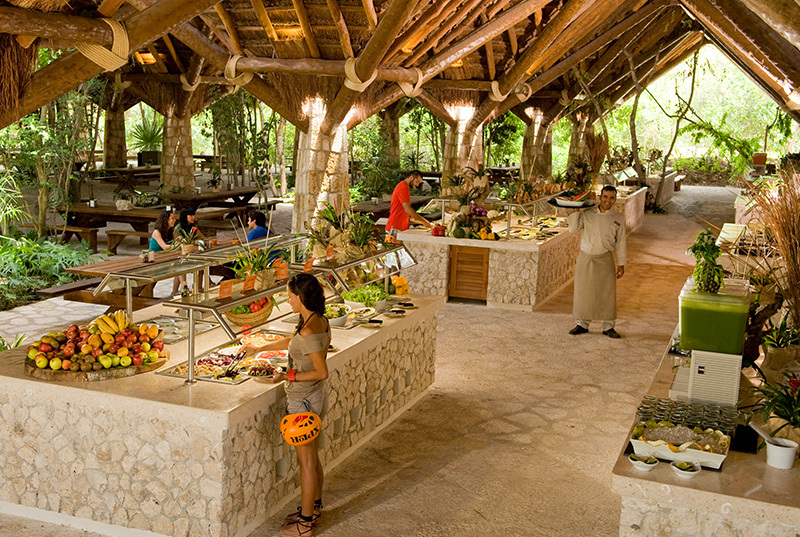 Buffet style lunch as you please during your visit. Use of locker (for 2). The transportation that will pick you up at your hotel may have the logo of any of the Parks: Xcaret, Xel-Há or Xplor or the Experiencias Xcaret company logo. Fuel your vacations up and enjoy each tour on a different day. 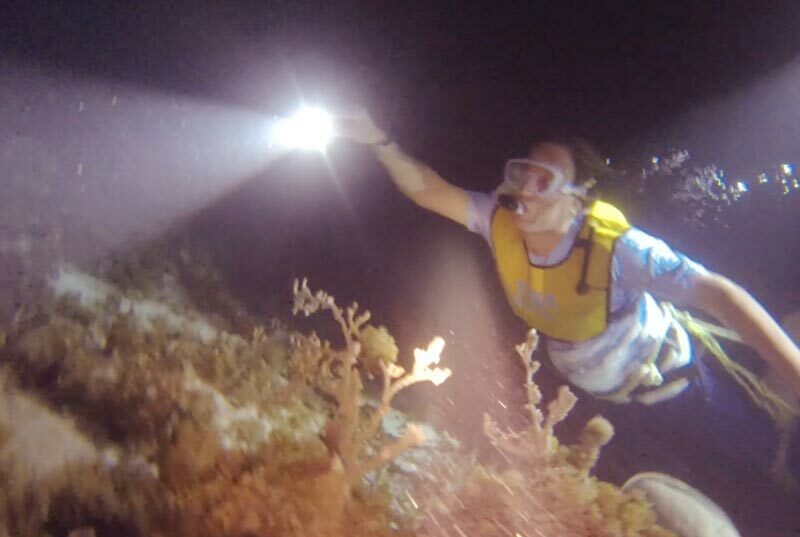 Guided night snorkeling in Cancun: equipment, bilingual guide, 2 inmersions in coral reef + bioluminiscence experience . 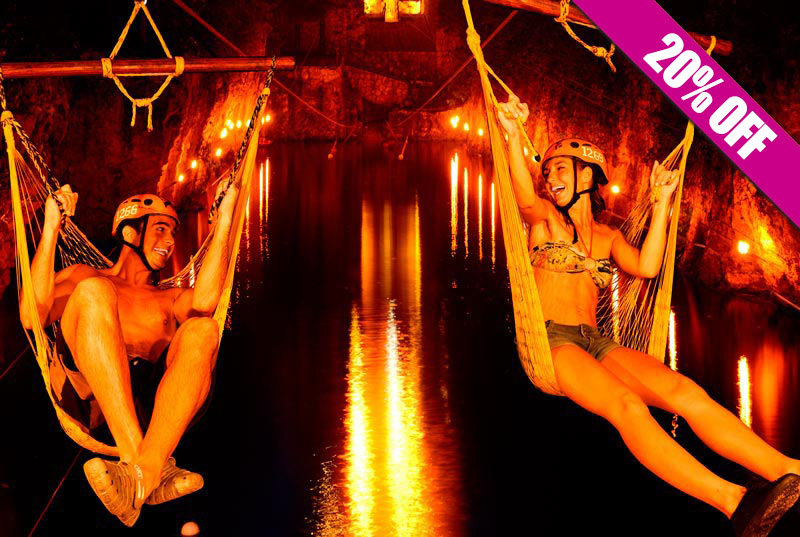 Also live Xplor Fire All inclusive tour with 9 ziplines, amphibious vehicles (3.4 miles jungle trail), 2 river circuits to paddle on Rafts and swim in the Stalactite underground-river (430 yards ). Both tours includes roundtrip transportation. Save big booking now! 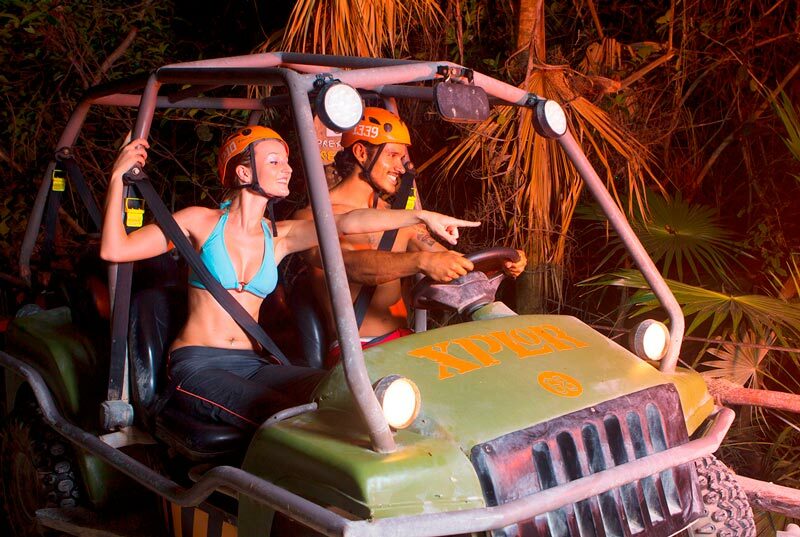 Xplor Fire: Air Conditioned roundtrip transportation. specialized guide on board. Lunch buffet. Unlimited beverages (coffee, chocolate and fresh-flavored water). A 9 zip-line circuit. 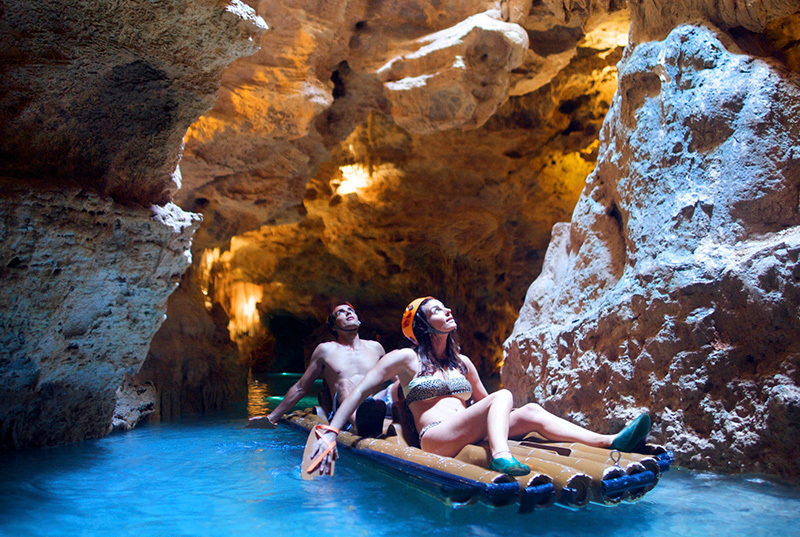 580 yards of underground caves to padle on a Raft. 3.4-mile circuit to drive with Amphibious Vehicles. Swim along 430 yards of crystal-clear water in the Stalactite River Swim. Night Snorkeling: Roundtrip air conditioned transportation. 2 hours snorkeling (2 inmersions+ bioluminiscence experience). Snorkeling equipment (mask, life vest, snorkel, fins). Waterproof flashlight. Instructor and qualified guide. Transportation to coral reef. Passenger insurance. Bottled water. Showers. Photo and video service are not included in any of the tours. Night snorkeling: Dock fee is not included ($ 5.00 usd. Per person payable at check-in). Comfortable clothes and shoes, swimsuit, dry clothes, towel, light sweater and cash. Xplore Fire: In the Ziplines there's a minimum height required for this activity: 4.59 ft or 88 lb. The maximum permissible weight is 299 lb. Only 18 years old may drive amphibius vehicles. Night Snorkeling: Snorkeling experience needed. Only children over 12 years (accompanied by an adult). A responsive letter must be signed, in the case of children their parents must sign. 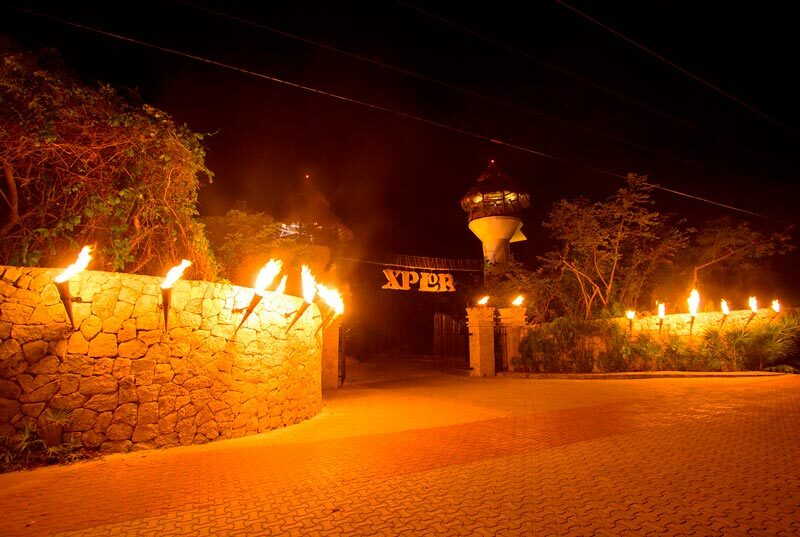 Dare to live Xplor Fuego, an amazing night tour in the jungle, where stars and torches light the way for you to enjoy Xplor Park 's 4 different adventure activities. 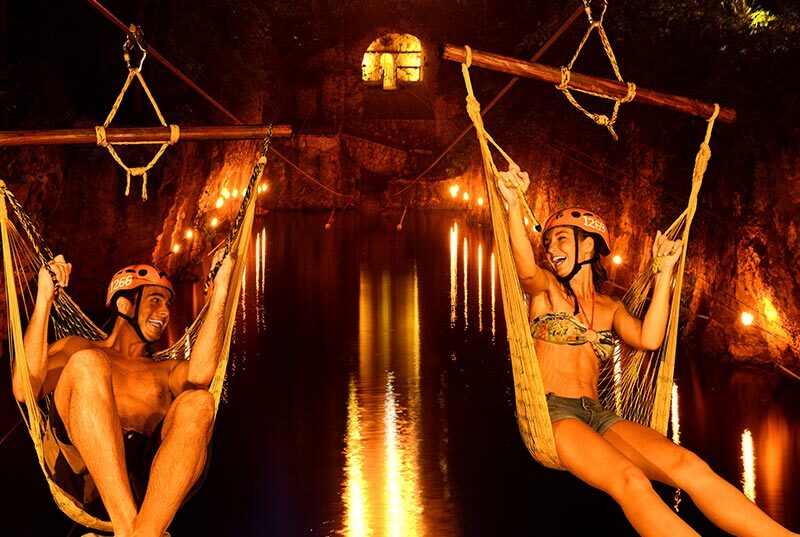 Glide in 9 incredible zip-lines under the starry sky, raft mysterious underground caverns, swim in Stalactite River & drive amphibious vehicles through trails and caves illuminated by fire. Air conditioned transport, buffet and unlimited drinks are of course included, book now! Round trip transportation from the comfort of your hotel with a bilingual guide. 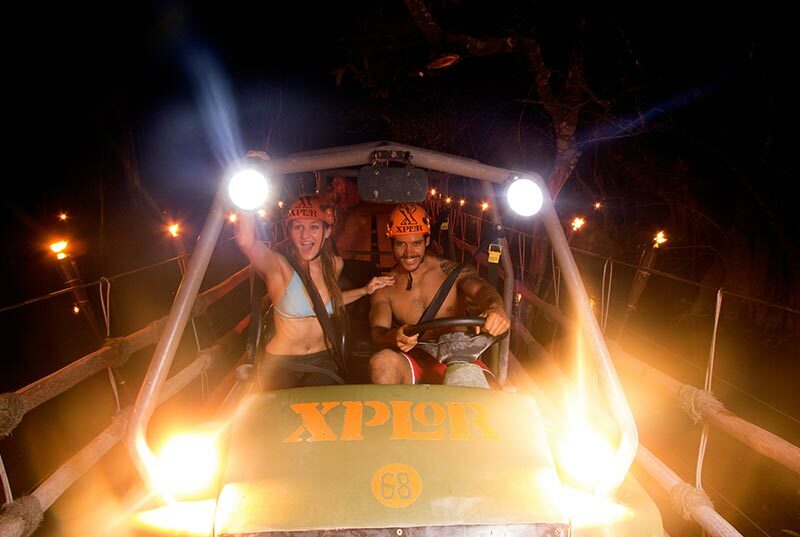 Admission to Xplor Park Monday through Saturday from 5:30 a 11:30 p.m.
A 3.1-mile circuit to drive with Amphibious Vehicles (only people 18 or older may drive). Equipment: helmet. 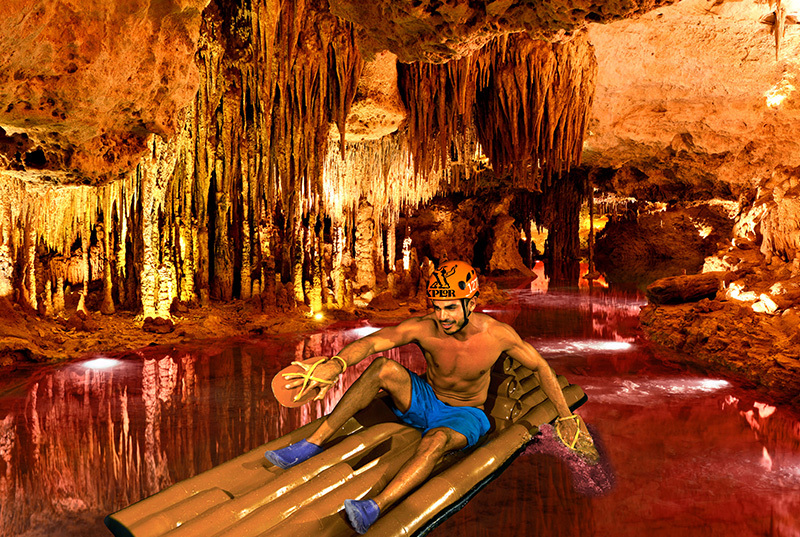 580 yards of underground caves to paddle on a Raft. Equipment: helmet and paddles. A nine zip line circuit. Equipment: helmet and harness. 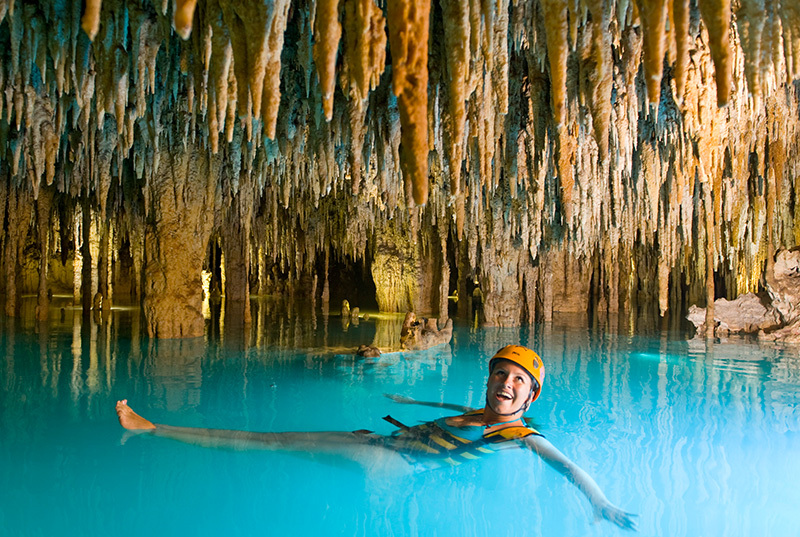 Swim along 430 yards of crystal-clear water in the Stalactite River Swim. Equipment: helmet and life jacket. Photos are not included (available at the park with extra cost). The transportation that will pick you up at your hotel may have the logo of any of the Parks: Xcaret, Xel-Há, Xplor or Experiencias Xcaret company logo. For ziplines, the minimum height is 1.40 m. Minimum weight is 40 kg. and maximum weight is 136 kg.